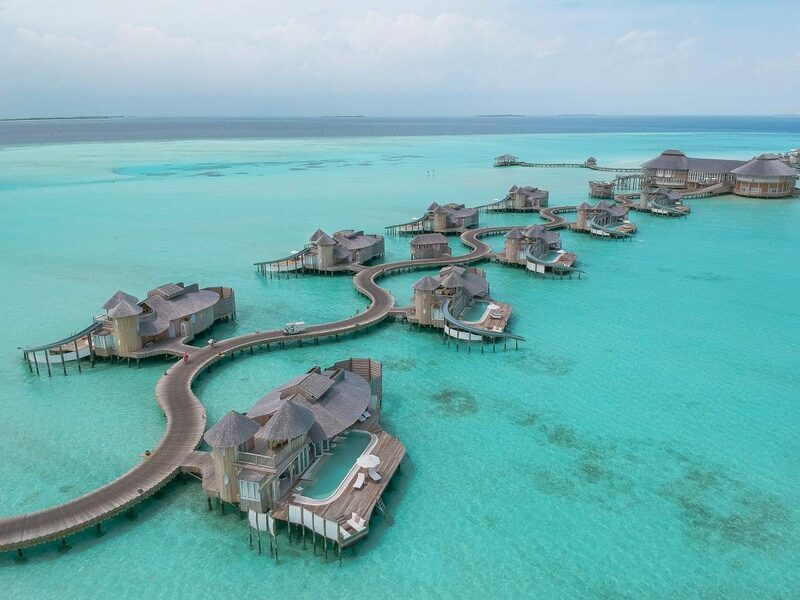 Overwater bungalows and overwater villas are THE ultimate Maldives experience. When searching for a perfect bungalow, I stumbled upon Soneva Jani. I was love at the first sight. Their villas looked fantastic, all with a private pool, some even had a personal slide! Did I also mention the retractable roof? 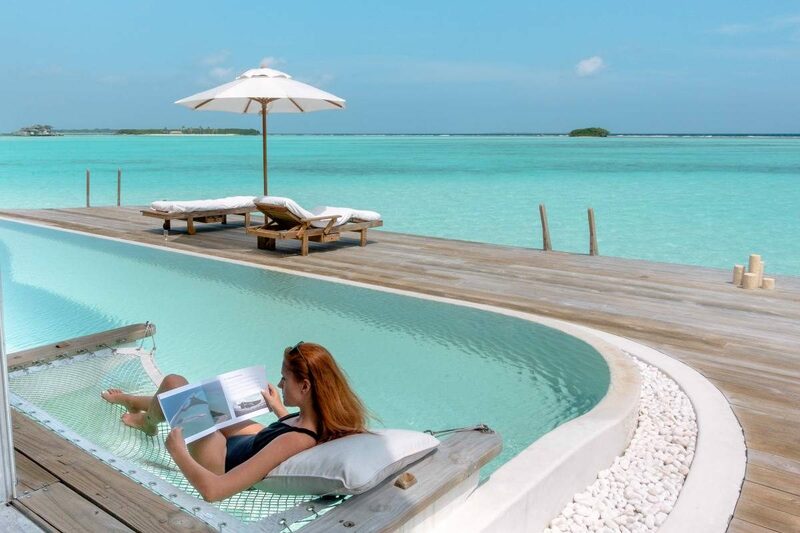 Soneva Jani is one of the top resorts in the Maldives offering overwater villas. 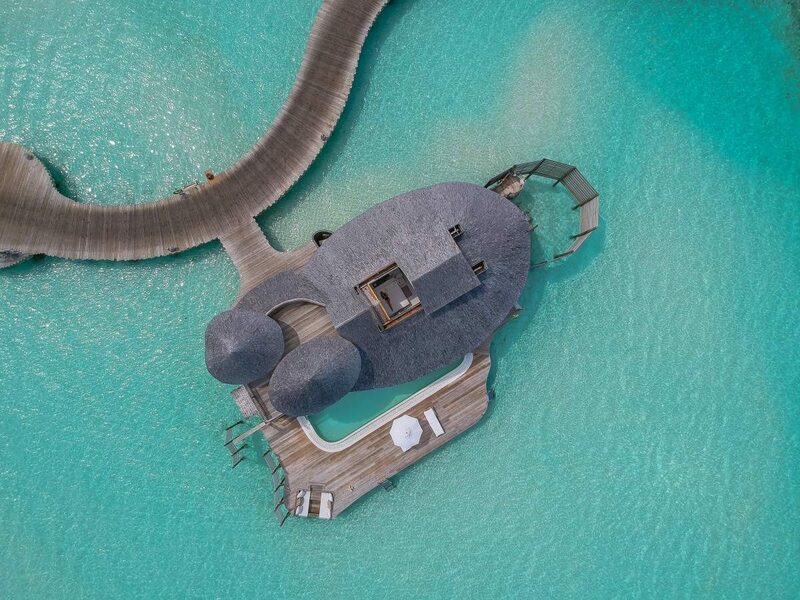 Located in Noonu Atoll and connected to a giant island, Soneva Jani has only 24 over water villas and one beach villa, which makes the whole experience very intimate for guests. Quite often I felt like there weren’t any other guests at the resort. I arrived at Soneva Jani by boat from Soneva Fushi. Everything went super smooth and my Mr. Friday took care of me immediately. 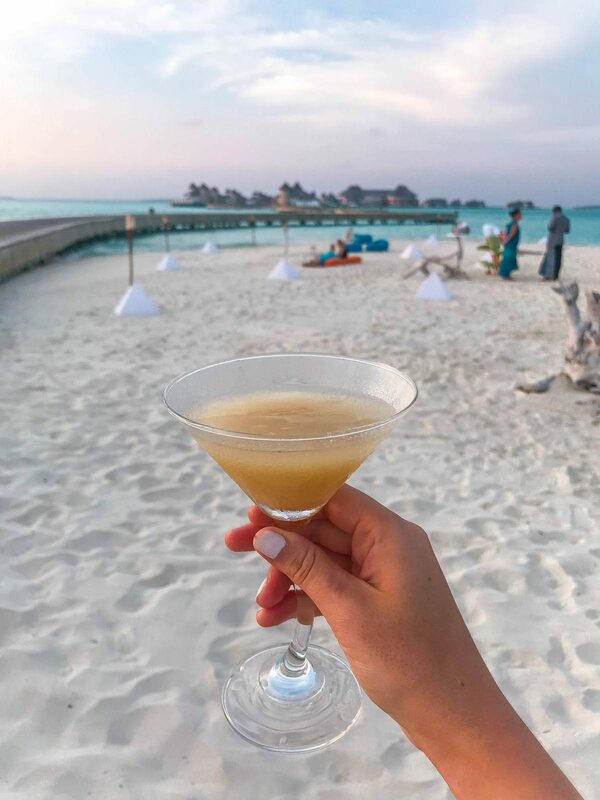 Soneva chain specifically calls all personal butlers Mr. or Mrs. Friday, named like in Robinson Crusoe’s books, as they act like Mr. Friday and are there to make your stay comfortable. They’ll book your dining experience, arrange excursions, take your photos and simply – be your friend. You can call him or her anytime, even to help you find your lost glasses. But not only your Mr. Friday can take care of you at Soneva Jani. One morning I was filming myself on a slide with my drone when I suddenly lost signal. I was running around like a headless chicken, imagining my poor drone floating around somewhere, and within a few minutes, I received help from at least 5 staff members, including a general manager. Thankfully, my drone decided to land on a table above the water (talk about luck here! ), but I was overwhelmed by everyone’s quick reaction. 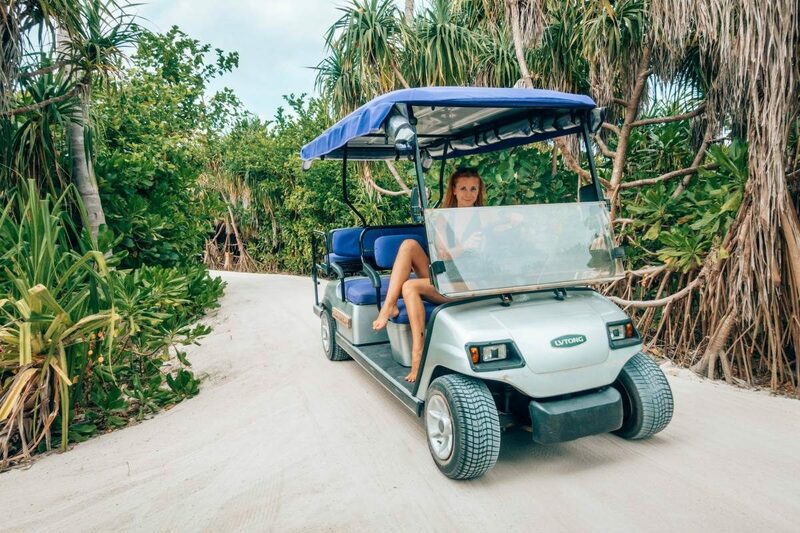 The whole chain of Soneva focuses on sustainability. Soneva Jani’s management kept its environmental impact as low as possible. The pools are filled with seawater and the villas have been built over the sandy floors of the lagoon, with no damage to any part of the reef. The resort also uses solar PV power and all waste is treated on-site. 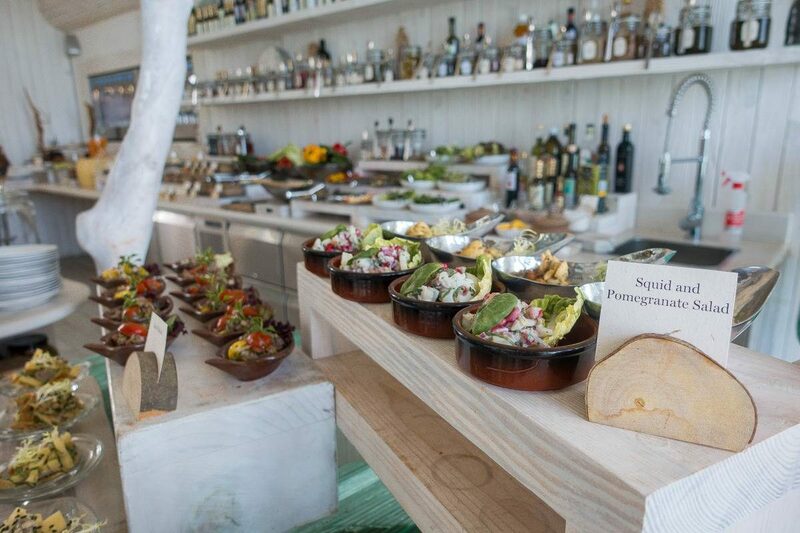 Soneva’s Eco Centro Waste-to-Wealth center ensures that waste is recycled, while the extensive vegetable garden gives local organic produce for the restaurants. This all made the place feel that extra bit special. I stayed in a one bedroom water retreat, which was fantastic, despite being technically the lowest category villa at the resort. I had my own private pool and a terrace, sunbathing chairs, a terrace on the first floor, gigantic living room, “mini-bar” that was basically an entirely separate room, an office, and two bathrooms. My outdoor bathroom had a shower and a bathtub, next to a private swim-in area. Not to mention multiple glass-bottomed areas, including one in a toilet (I’ll miss this toilet forever!). I absolutely loved the design of the entire villa. White wood, combined with light violet accents, give the whole thing a seaside vibe. The roof directly above the bedroom could be open by pressing a button. I left it open for the whole night as it was giving a nice breeze and also, I could watch the stars from my comfy bed. The main area of the resort looked awesome. At three storeys tall, halfway the jetty, it was easily accessible from all the villas for meals and snacks. Similar to Soneva Fushi, there were rooms full of snacks available to guests all day long, including my favorite cheese room. I quite enjoyed the food during my stay. I actually ended up using the buffets for lunch and breakfast, loading my plate with all the delicious cheeses, bread, salads and more, there were more choices available a la carte. Since the General Manager is Indian (one of the nicest people I met btw! ), he introduced some Indian cuisine accents to the buffet, which I absolutely loved. I also experience a dinner with an astronomer. I was quite skeptic at first since I’ve already done some stargazing at the other resort, but I quickly changed my mind as the experience was very different. 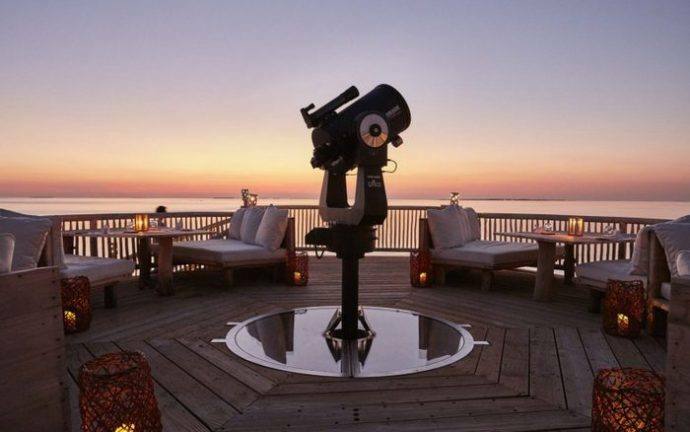 There were only 4 tables around the telescope and just two other guests apart from me, making this experience quite intimate. The astronomer explained everything we could see between our dining courses. I found it super interesting and learned a lot about the stars as it felt like I could have the astronomer almost all to myself. 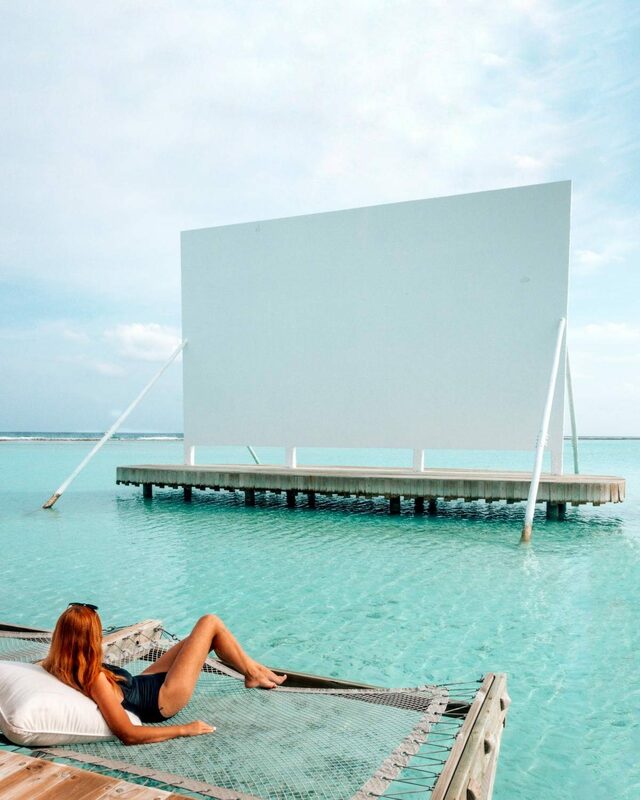 There are plenty of things to do at Soneva Jani, but the most famous one is probably the overwater cinema, so-called Cinema Paradiso. You can book it entirely for yourself, or share a movie with other guests. It’s actually a silent cinema, but don’t worry – you’ll get a pair of Bluetooth headphones to hear the sound without having to wake up the local wildlife. Since the island that belongs to the resort is big, there are many beaches that you can have entirely to yourself. I haven’t seen any other guests when I went there, which was super cool. One of the beaches arranged a cocktail party during my stay, which I quite enjoyed. I really like the fact that the staff was happily and naturally interacting with the guests while enjoying themselves. 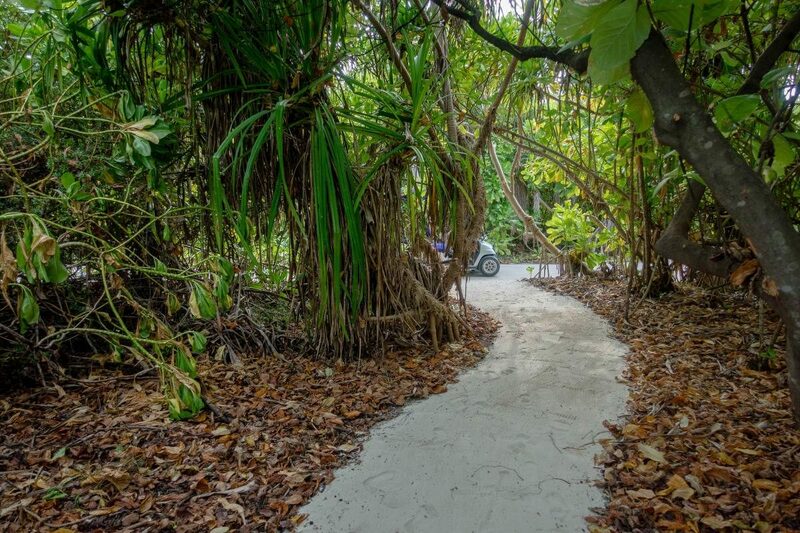 You can also go dolphin watching, or visit a nearby local island, but I did it as Soneva Fushi. Are there any cons of Soneva Jani? I’m not going to lie. Soneva Jani doesn’t come cheap. 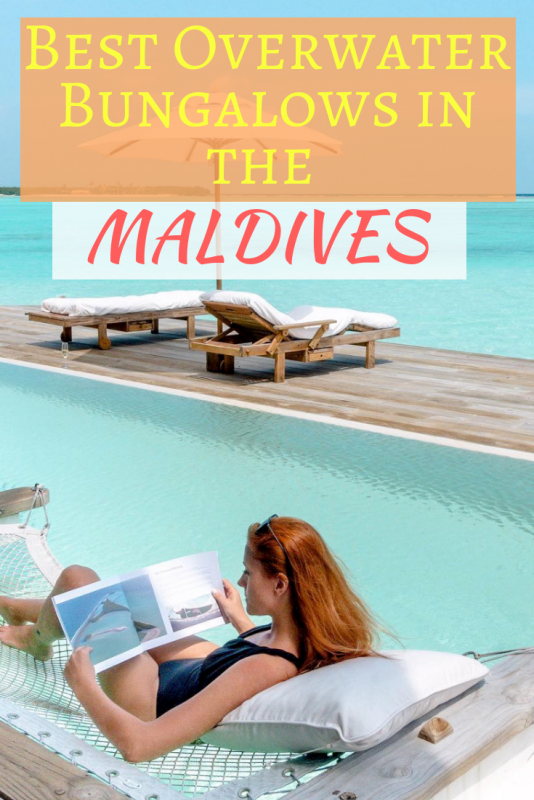 It’s one of the most expensive resorts in the Maldives, but I think you can surely treat it as once in a lifetime experience. Another thing that could upset some guests is the lack of fish. 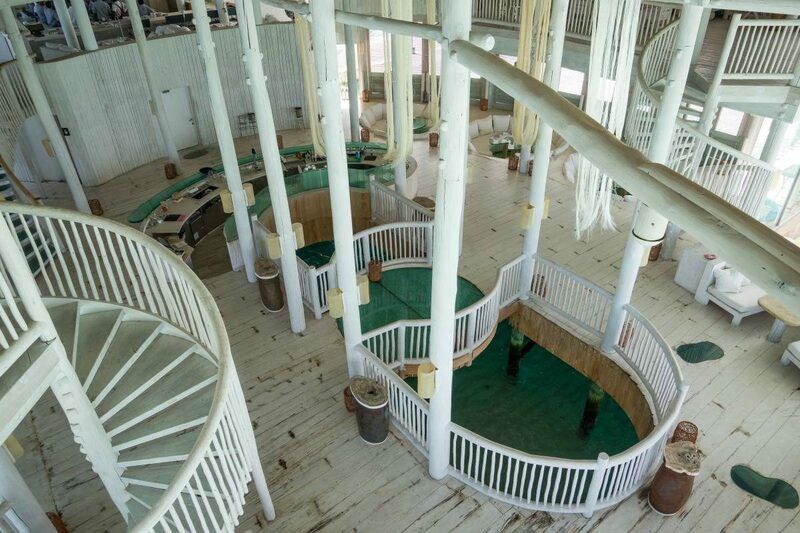 Because of all the waterslides, there aren’t any reefs around for safety reasons. I saw one small shark and a few fish, but the surrounding isn’t as live as at Soneva Fushi. Personally, as great as the idea of a personal slide sounds, I haven’t seen any guests actively using their slides. I guess I’d be happier with fish swimming around my villa. But again, you can easily snorkel to see some fish that live not that far away. Without a doubt, Soneva Jani was one of the best resort experiences I’ve ever had! You really can’t do better than this if you want to spend some time in paradise. Who wants to visit Soneva Jani now? 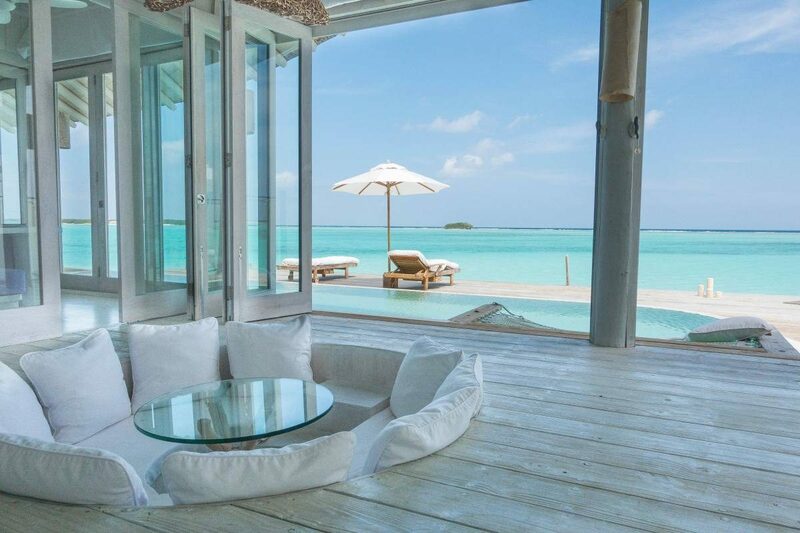 Check prices of Soneva Jani here. Next Post Announcing My First Blogging Retreat/Course in September 2018!